When do hummingbird babies leave the nest? How much currently does it cost to send a domestic letter in the U.S., and what are the Forever stamps worth? What do I need to do to design an AP English and Composition course? What events raised the questions? A hummingbird pair built a nest right outside the front door. Then one day, there were 2 tiny head poking out of it! How long would they be there? My dad, sorting through one of Mom’s desk drawers, found an archeological dig of stamps. Which ones could be used in what combination to send a letter? My boss asked me to teach a new course next year. How could I succeed in my assignment and help students become more effective critical readers, writers, thinkers, speakers, and listeners? 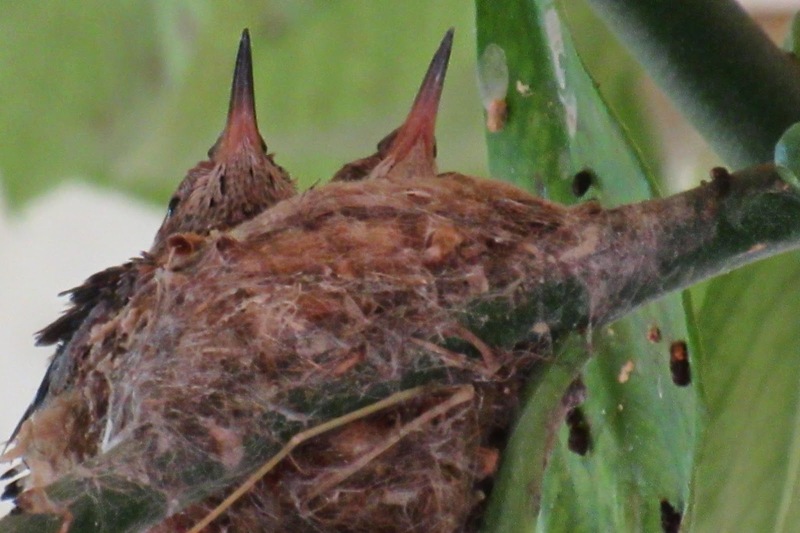 Hummingbird nests can expand with the babies as they grow because one of the construction materials is spiderwebs! Some hummingbirds migrate non-stop across the Gulf of Mexico! And many more tidbits much more amazing than the average 21 days it takes youngsters to fledge. Current U.S. domestic postage is 49 cents, and the Forever stamps are forever. Buy them now and use them 10 years from now when postage is $2.00. Observation and searching multiple online sources. 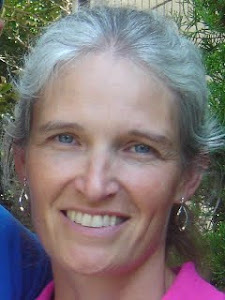 I also learned real-life reasons for having multiple sources: websites are idiosyncratic in what information they include (one had no information on fledging—it was very scientific about evolution and torpor; another was all about the kinds of behaviors the ordinary person would observe), and because the information itself can differ (the scientific site said the male is not involved in childcare; the other site said though much information says the male is not involved, some people have observed males feeding the young). If it were significant enough to me, I would search several more sites to get a handle on why the difference exists and which seems more authoritative. My family’s observation seemed to support male involvement. I set up an instructor’s account on the College Board site, studied information there, joined an online community, contacted other AP English teachers I knew, perused possible textbooks, and read reviews of the books. What did I do with what I learned? Became better at small talk for the next 2 weeks. Created a good course I will really teach next year. Why do students groan when they hear the word “research?” Could it be because we teachers have set it up as a task they do for us so they are prepared for the research paper task the teacher next year will set for them? But life IS research—we do it all the time! Because we’re curious, because we have a problem to solve, because we have a mission to achieve. Who wouldn’t want to learn how to do this better—not as an end in itself, but as a way of getting better, quicker answers to real-life, significant questions? What if we could pass THAT on to students? A good framework for training K-12 students in real-life research skills is the Big 6 Skills. Help students ask significant questions—big and small, short term and long term, easy and hard to answer—that they really want to know, guide them in how to find reliable answers, and give them real audiences with whom to share their answers or real projects to complete as a result.